In Hebrew, “Limmud” means “learning” – and that’s what it’s all about. We are a community that creates spaces and places so you can craft your own Jewish experience, explore your connection to Jewish ideas and traditions and meet people who share your curiosity and enthusiasm. LimmudBoston is a one of a kind festival celebrating all of the richness that Jewish identity can offer. 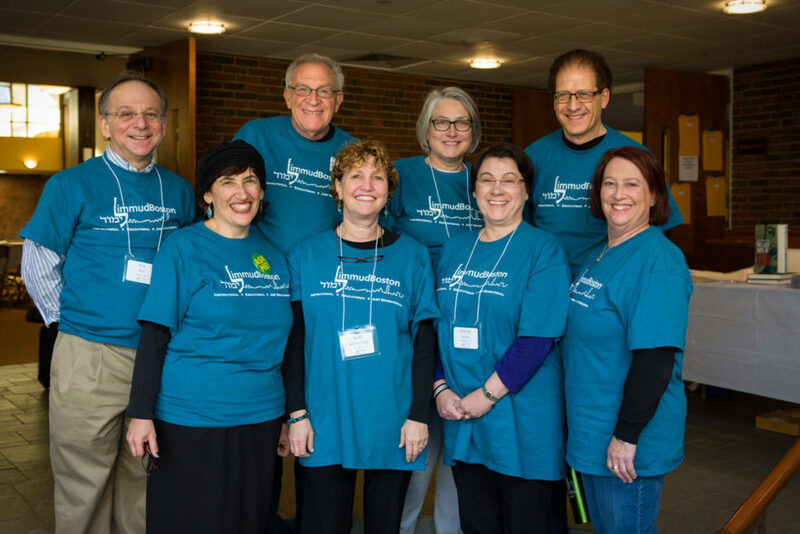 Limmud Boston is a volunteer-driven, independent, pan-denominational organization dedicated to the creation of engaging opportunities to experience and celebrate Jewish learning and culture. LimmudBoston is part of Limmud International, and represents one of more than 80 independent worldwide Limmud conferences. We follow Limmud International Values & Principles. Like Limmud conferences everywhere, LimmudBoston runs on volunteer power. LimmudBoston is run from the home of Steffi Aronson Karp, founder of LimmudBoston, who has been a Jewish conference junkie since her high school days in NEFTY, NFTY and SMARTY on Boston’s North Shore. In 2008, after attending her first Limmud in Atlanta, GA, she began creating LimmudBoston. Steffi has participated in Limmud conferences in the UK, Philadelphia, New York and Baltimore, Miami, New Orleans and Toronto. In 2013, Steffi received the Klal Yisrael Award from the Synagogue Council of Massachusetts, as recognition for uniting area Jewish communities through LimmudBoston. Rabbi Julie Wolkoff, D.Min. was ordained from HUC-JIR in 1982. She received her Doctor of Ministry degree from HUC-JIR in 1996. She is a chaplain with Care Alternatives Hospice in Marlborough, MA. Cantor Robins has led the Music Team for LimmudBoston for several years. She currently serves Temple Beth Shalom of the North Shore in Peabody, Massachusetts in the dual role of Cantor and Director of Education. Terri Swartz Russell is the Family Educator at Temple Emanuel in Newton. She is an active member of Temple Emunah, Lexington, where she serves as co-chair of its Adult Education committee. Terri was the first to volunteer for LimmudBoston, was co-chair of the conference from 2011-2013, and currently serves as the Chair of the LimmudBoston Board. Wendy Liebow has many years of program experience at Temple Isaiah in Lexington, where she served two terms as VP of Programming and many more co-chairing various committees. She lives in Lexington with her husband, Scott Burson. Barbara Posnick, of Wayland, served as Program Book editor for LimmudBoston 2012. This year she is working with Wendy Liebow as Co-Chair of the Program Team. Barbara Miller wrote to LimmudBoston in 2009 to say that she’s “in.” Put her to work. And we’ve done just that. Barbara has led the Site Team, working closely with every group in order to make sure that the building fits the needs of LimmudBoston. EJ Cohen brings years of experience with Limmud UK to the new world version, LimmudBoston. She has spent 30+ years combining expertise from the worlds of Deaf and Jewish education. Maureen Mintz It wouldn’t be a Jewish conference without food, and lots of it. Maureen Mintz and her Food Team communicate with our kosher caterers, to bring yummy lunch to LimmudBoston participants. The food team also arranges for lots of snacks throughout the conference day. LimmudBoston is lucky to have Emma Stitcher, our Signage expert. Emma and her family attended many Limmuds when they lived in the UK. In fact, the Stitcher daughters celebrated their b’not mitvah at Limmud. Emma also serves as our best on-site advisor for WWLD–What would Limmud do? !